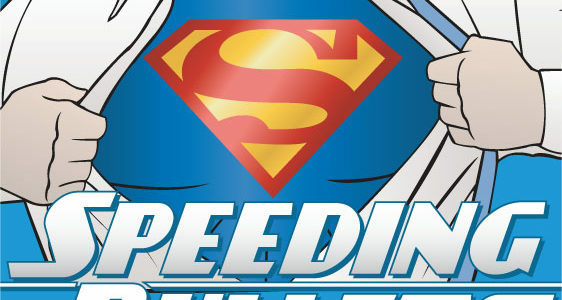 Tim and Heidi soar in with the first episode of “Speeding Bullets”, a podcast for Superman fans by Superman fans. They lay out where Superman is to be found these days, and describe what this new super podcast is flying to. They also give their history and love of the Man of Steel. This is just the beginning though and it’s only up, up, and away from here. But we want to hear from you. Send us your feedback to: speedingbulletspodcast@gmail.com. As you all know, Smallville ended it’s ten year run earlier this year. If there were to have been more Smallville, I think it should’ve been in the form of a spin-off. I feel that Smallville ended the way it should. We got the build up to Clark becoming Superman for ten years, and that’s where Smallville should have and did end. I do however love the actors portraying these characters, and if they would’ve been willing to go on playing them there are a lot of ways the show could’ve continued. There was a rumor for a while about a Metropolis movie after Smallville ended. This would’ve been a good way to do a spin-off. They could’ve had Smallville end, and made it into a Superman show called Metropolis. You could have Lex Luthor, Lois Lane, Perry White, Jimmy Olsen, and even more of the comic book villains show up, because Clark would be Superman. It could have been very much like the last few minutes of the finale. I also would’ve been interested in a Justice League spin-off. If they couldn’t get Tom Welling, then Superman wouldn’t have to be in the show, since we can’t have Batman anyway. I would love to see Green Arrow, Black Canary, Aquaman, and Impulse in action more than we did on Smallville. Chloe could’ve been in this spin-off as well, keeping her Watchtower position. What do you think? What would you have liked to see happen if Smallville continued? Want to relive the whole series again? Or pick up your copy of Season 10? I have been hired by Warner Bros WBWord division to raise awareness for ‘Smallville’. We all know that Smallville had it’s ups and downs through the ten years the show was on the air, but I feel that the writers made a really great series finale. Actually thoughout the last couple of seasons they managed to pull things in from previous seasons and give the viewers who had been there from the beginning some payoff for sticking with the show. The final season had some episodes that felt a lot like filler, but I think they were saving money for their series finale, which was amazing. The series finale, for me, was everything I had hoped it would be. I had pictured certain elements differently, but they exceeded my expectations with this two hour event. I was very nervous for Clark to fly. Would it look cheesy? Would it be a letdown after all this time? It was neither. Having Clark “see” everything that had led to him becoming a hero was the perfect way to finally have him accept his destiny and choose to be who he’s supposed to be. The flying was amazing, and even the suit was done well. All in all, I think that Smallville was an entirely enjoyable series that kept me watching for all ten years. 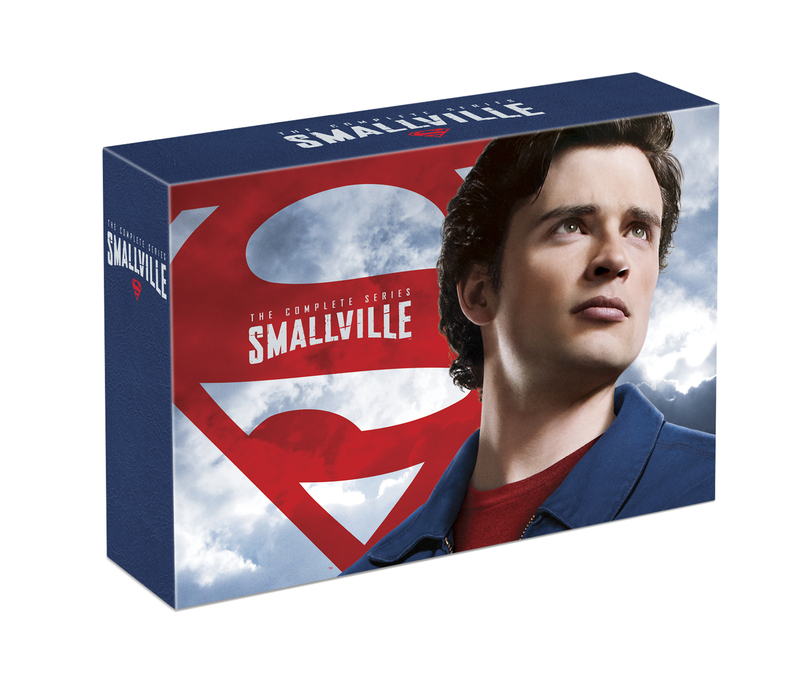 Want to relive all of Smallville or Season 10? I have been hired by Warner Bros WBWord division to raise awareness for ‘Smallville. It’s hard to believe Smallville is over. The show started just while I was still in college and now it’s 10th Season is available! What were your favorite moments from Season 10? Pick up your own copy of Season 10 on DVD/Blu from the Warner Brothers Store. Or pick up the complete series! Smallville: What Superhuman Power Would You Choose? When you get a bunch of comic book enthusiasts together eventually the discussion must go to the question: which superpower would you want if you could only get one? I think it’s one of those safe topics because there’s really no right answer and you can’t really harm your friendship while discussing the relative merits of invisibility vs frost-touch. With the series finale of Smallville over, I’ve been thinking about the same question. Which of Clark Kent’s Superman abilities would you want? Of course, there’s super strength and super speed, which Clark discovers early on in Season 1. But invulnerability, super healing, X-ray vision, heat vision, super-hearing, super-breath, and flight. But which would you choose out of the set. Especially, given Smallvile’s take on Superman, all of those abilities grow over time and with practice. Clark’s flight ability especially took the ten seasons to really develop and be used. With all of these powers on the table it’s hard to know which one to take. While some are easy to give up (X-ray vision, do I really need that every day?) others seem to be linked together (invulnerability and super-healing). Do you need invulnerability to travel at super speed or flight? What if you run into something by accident? I think if I were able to pick one of Clark’s super powers it’d be super healing. Mostly because it would cut down on a lot of pain. I’m pretty annoyed with pain in general so healing quickly would be a nice super power to have. So what power would you take (if you could)? And why? Rewatch the entire series of Smallville and follow Clark’s superpowers grow from the Pilot when he discovers his super speed by running through the cornfield until Season 10 where he and Lois hover while dancing. I have been hired by Warner Bros WBWord division to raise awareness for Smallville. I expected, when I first watched Smallville, to only root for Lois Lane and Superman, but I admit that the more interesting relationship for me was between Chloe Sullivan and Clark Kent. Despite her non-canon-ness she turned to be more deep and fascinating. The friendship and unrequited love (and finally requited love and then friendship) made for interesting television. In the end Chloe became more than a misfit with a puppy crush, she became a strong, empathetic and selfless character. The relationship is not all roses, but it’s resolved like good, strong relationships are. In the season 3 episode “Whisper” Clark and Chloe resolve their relationship after Clark discovers that Chloe has been helping Lionel Luthor uncover information about him in exchange for a job at the Daily Planet. 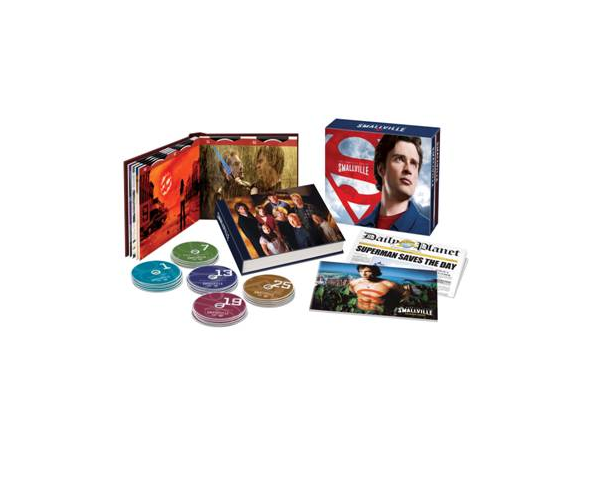 With the complete Smallville series in one collection it will be easy to rewatch their relationship from episode 1. I look forward to watching unfold all over again. I have been hired by Warner Bros WBWord division to raise awareness for the Smallville DVD release. Smallville: What’s Your Favorite Rivalry? 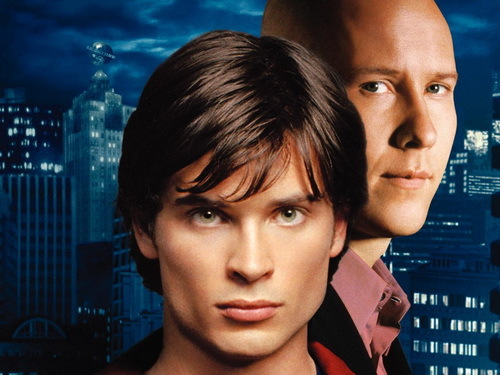 When I first heard about Smallville, back before the first season ever aired I was really intrigued with the idea of exploring the infamous Superman/Lex Luthor rivalry. After all, it’s one of the best super-hero and super-villain pairings ever. To date, I still think it’s one of the best explored relationship/rivalry on the Smallvile series. First, because Michael Rosenbaum, plays Lex to a tee. Second, because the writers didn’t make Lex a straight up evil villain from season 1. Lex Luthor is allowed to play the fine line between good and evil. Even though you ultimately know he’ll chose evil, the audience gets to see what choices led him to that path. Exactly what you’d want to see in an origins series like Smallville. Finally, what really makes the tension between Clark and Lex wonderful is their beginning friendship that disintegrates into becoming each other’s mortal enemy. While not a unique story-telling method, it keeps the relationship between those two characters fresh and all the more painful. 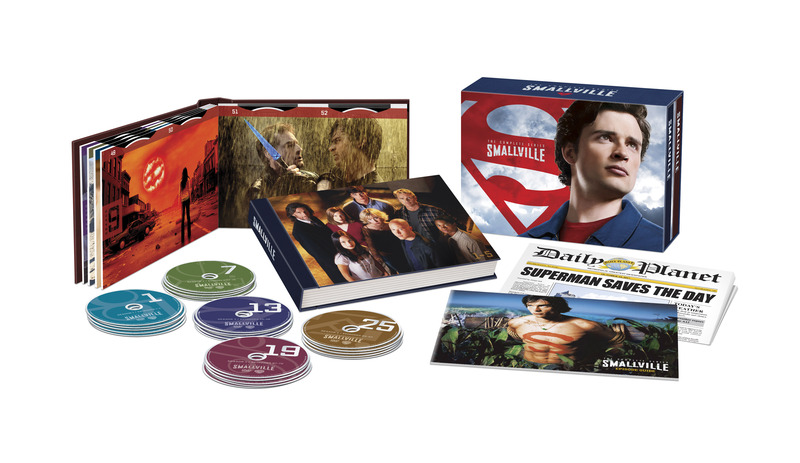 Relive the epic battles and the iconic rivalries with the “Smallville: The Complete Series’ DVD!” Includes 62 discs, never before seen production art and behind the scenes photos from the set! Buy Smallville – The Complete Fifth Season on Amazon.com. Lexmas is currently the only Christmas episode of Smallville. The episode starts out with Lex going to a meeting in a dangerous area of Granville. He’s making plans to get Jonathan Kent out of the senate race. Lex is shot when a couple of junkies steal his car. When he “wakes up” he is lying in bed next to Lana. A young boy runs in and calls him daddy. Not only that, but Lana is pregnant. He is very confused, and asks some crazy questions to figure out what is going on. He is married to Lana and their son’s name is Alexander. They have a middle class income, as Lex was cut off from his father when he married Lana. 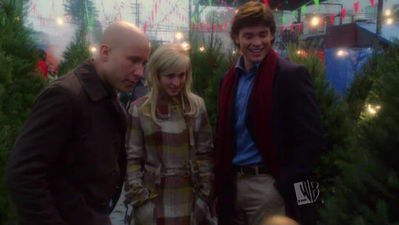 Lex takes Alexander to find a Christmas tree, and runs into Clark and Chloe. They are all still friends. They remind him that they’ll see him later at the annual Kent’s Christmas party. Lex and Lana attend the party, and Lex is honored by Jonathan and the community. This has to be Lex’s perfect life, right? Well, no. Lana goes into labor, but there are complications. Lex goes to Lionel for his influence and money in getting the best doctors. Lionel turns him down, and says he made his choice. Lana dies, and Lex wakes up again. This time he is in the hospital, having had a risky surgery that Lionel approved to keep him from being paralyzed. Throughout this whole thing, Lex has been “seeing” his mother, Lillian. She tells him that if he chooses correctly this could be his life. He could be happy. After seeing the death of Lana, Lex concludes that money and power are the way to true happiness. This is the moment where Lex makes a choice that will take him down the dark path to becoming the evil Lex Luthor. Also in this episode, Chloe has Clark help deliver toys to underprivileged children. He runs into a drunk Santa, thinking of committing suicide. Clark saves him, and Chloe’s presents are magically delivered. I really enjoyed this episode of Smallville. It could’ve been just a throwaway episode, like many holiday episodes are, but it wasn’t. This is a major event in Lex Luthor’s life. It’s a very big deal that he makes the choice to go down the darker path. He’s been fighting with his darker side for years, but here he chooses to embrace it. Seeing the alternate future is lots of fun, too. Michael Rosenbaum is such a funny guy in real life, but you don’t get to see much of that in the character of Lex. It was great to see him smiling and laughing for a change. It’s also really fun to see where Clark, Chloe, and the Kents end up.